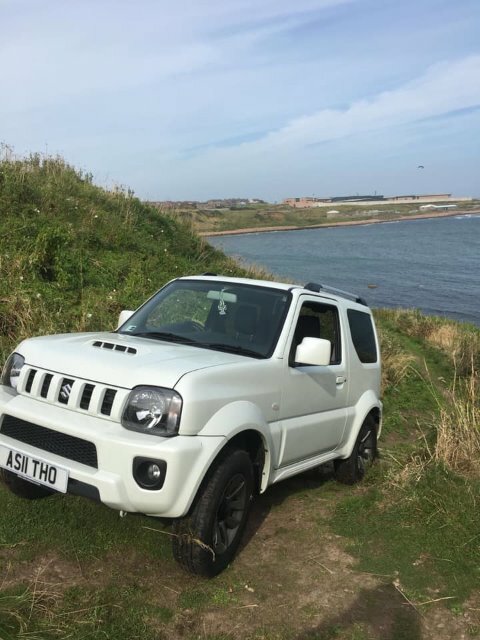 My story so far: Have had a White SZ4 Jimny since 2017 and loved it. 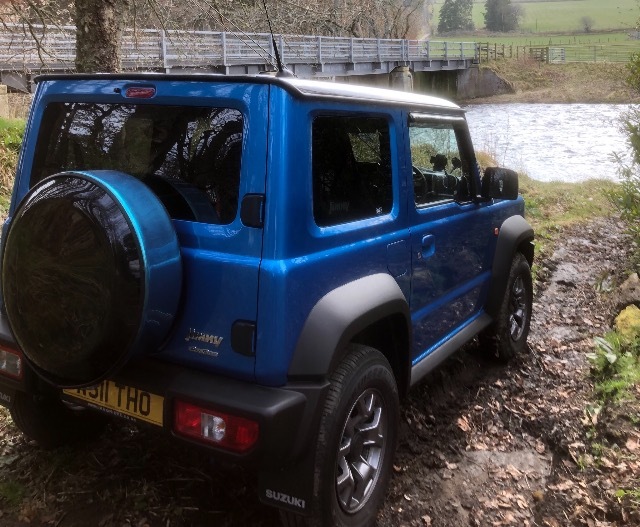 Perfect for the regular fishing trips to both river banks and loch. I picked up my 2019 SZ5 from Ian Grieve in Falkirk earlier this month. Cannot fault the dealer at all in their perseverance to secure me exactly what I was after, call it luck or what but I'm delighted. 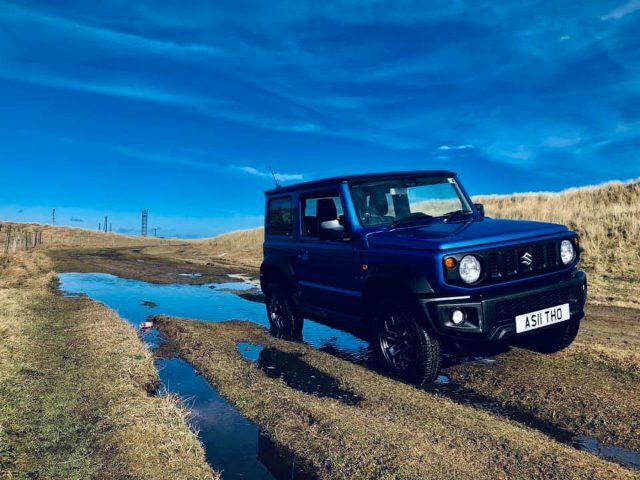 Have had a 'refundable deposit' down on the vehicle since end of 2018. 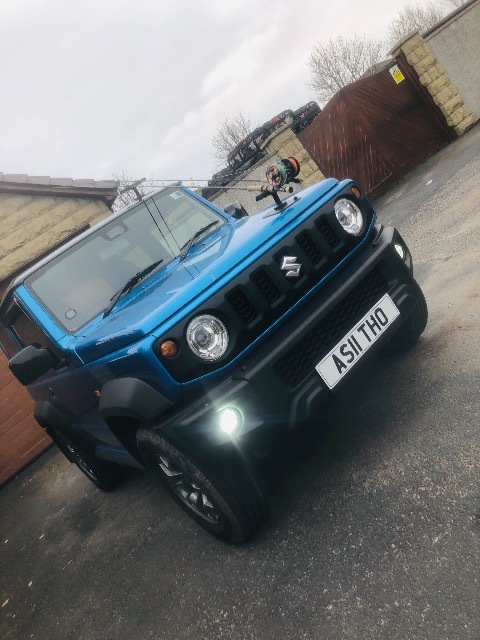 After getting it home, I only managed to drive it for a day before then heading away for work - roll on Wednesday when I can really take it on a few journey's and start on the mod's!! Looking forward to sharing ideas with the knowledge base on here! Any queries you may have about the new model before getting it/deciding to get it just shout! God i love the blue!! Very nice. Welcome to the forum. Hello and welcome from Lancashire. Hi Ash - and welcome. I'm just up the road from you near Kinross. Like the blue - although a peaty-tea colour might fit in better with fishing those lochs! Hi and welcome. 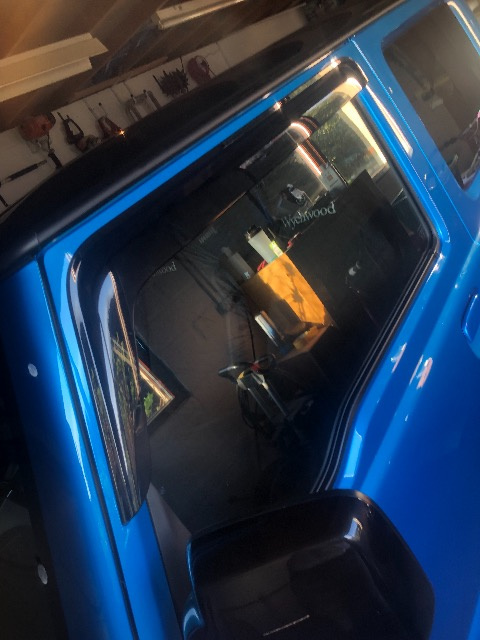 I wanted blue hopefully it looks great in the flesh. Put up some piccys ! Wind/rain deflectors, spare wheel cover and some aftermarket bulbs fitted. Looking the part! Ash97x wrote: Wind/rain deflectors, spare wheel cover and some aftermarket bulbs fitted. Looking the part! That blue is stunning! . Did ye fit the wind deflectors yourself or? You are Aberdeenshire, I see. I'll keep my eye open for you. Come June, if you get the flashers from a Kinetic yellow, it may well be me.